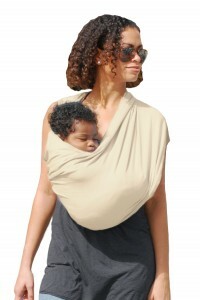 Super- soft, structured, and ergonomically correct, the Baby K’tan™ Baby Carrier makes baby wearing easy! From newborns to toddlers up to 42 lbs., the Baby K’tan™ is a cross between a sling and a more structured front baby carrier, offering the positions and benefits of both styles. Offered in neutral colors both mom & dad will love, this is the only carrier you will need for your little one right from the start. A favorite among celebrities, the Baby K’tan™ has even been seen hugging Jennifer Lopez’ twins close to mommy’s heart. 100% Organic cotton carriers are now available. Purchase yours at www.babyktan.com.